Judging by my wood heap winter must be nearing its end. But winter it is. Snow on the Kaimanawas. The Desert Road closures from time to time. Lots of rain. Small, river floods.The fish don’t mind as they are now making their runs up the river. Rainfall has been consistent. It is raining as I write. The rainfall graph from Genesis states that there has been 12mm in the last 48 hours, 48.4mm in the last week, 242mm in the last month and 556 mm in the last 3months. It is a lot of rain. In the last month we have experienced 3 small floods and currently the river is flowing at 42 cu mecs and rising. Remember that normal flow is in the area of 22 cu mecs. The Genesis Tongariro River Flow Graph for the past month as at 3.30pm 5 August 2016. One advantage of floods is that they clear vegetation and debris that annoys anglers. 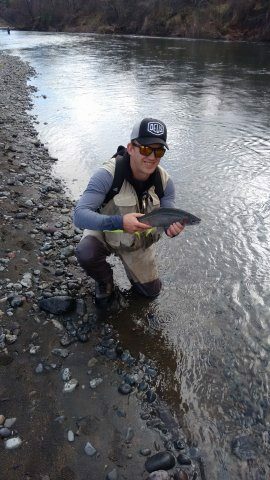 Since the new licensing season the fish have been moving up the river. Last week I had the pleasure of watching Brendan Dougan of Wellington having a wonderful time. 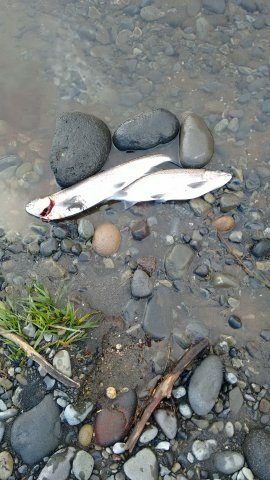 In the space of an hour he must have caught, and released, 8 fish and all were legal sized fresh run trout. 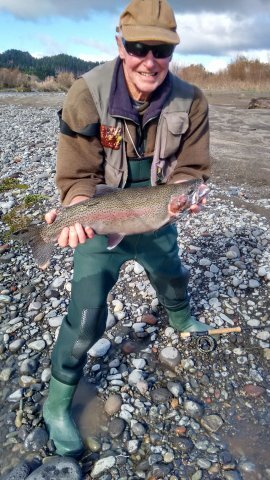 My friend Brian Batson took a very nice Jack of about 4-5lbs in the same area and a Taihape visitor took another couple of fish. 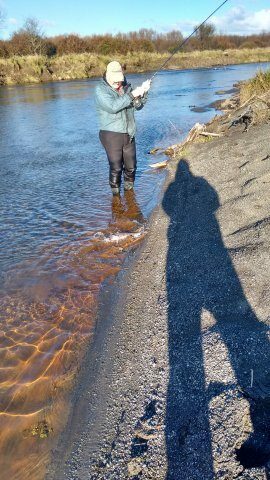 I managed a couple of fish further downstream. Earlier I had fished with our President Gary Brown who landed two nice fish and lost(as is the case) the best fish of the day. As a consequence there are a lot more anglers around having a lot more success. The Tongariro River works plan consultation meeting will be held at 10.30am, Tuesday 9th August 2016 at the Bridge Lodge conference room in Turangi. 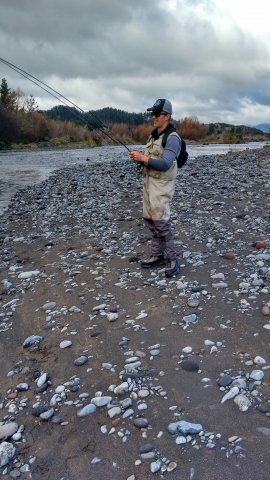 This will be a chance to discuss the Waikato Regional Council annual work programme for the Tongariro River, along with any other river related issues. The consultation document is on our web site, front page. Whats happening. I look forward to meeting you there. Tonkin and Taylor report on the Downs Pool. One of our members drew my attention to the fact that the Tonkin and Taylor report did not make sense. A check showed that only the odd numbered pages had been copied. This has now been remedied and the on line copy is the full report. I appreciate that the error was pointed out. Wondered what is behind the speed restriction on the Main Road Bridge over the Tongariro river. The NZ Transport Agency is urging drivers to comply with a 30km/h speed restriction enacted today over the Tongariro River Bridge on SH1 just north of Turangi. The temporary speed restrictions have been introduced following routine inspections which have identified the need to carry out repairs to the underside of the bridge. Limiting speeds to 30km/h will significantly reduce the stress which vehicles impose on the bridge structure while the work is carried out, allowing both lanes to remain open. It is anticipated that speed restrictions will be in place for up to three months while the bridge is repaired. This work is being treated as a priority to minimise the period of speed restrictions. The Transport Agency is urging all drivers to respect the 30km/h speed restrictions while the work is carried out.